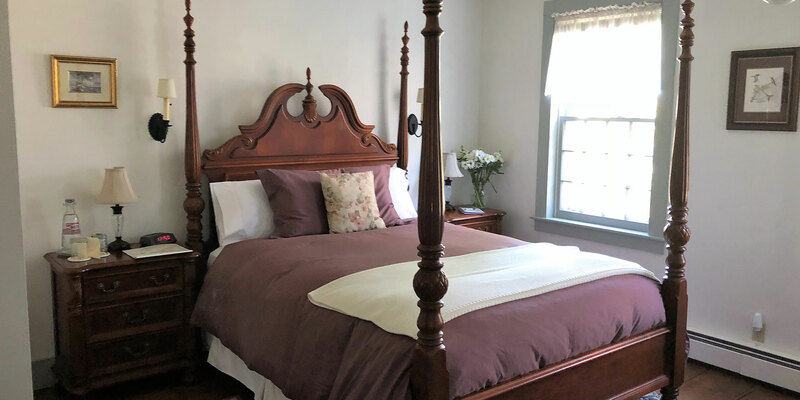 The quintessential bed and breakfast experience in the heart of the Connecticut River Valley. With seven beautifully decorated rooms to choose from, you're sure to find a room that will provide you with the perfect getaway. 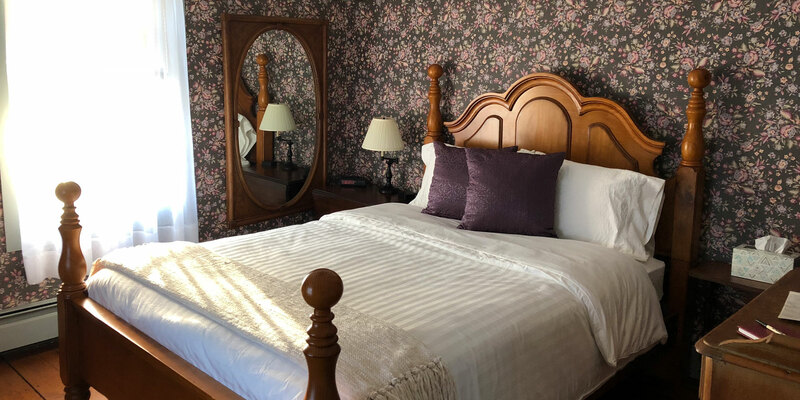 Whether you're looking for a romantic getaway, a relaxing weekend or a site seeing excursion, you'll find the perfect accommodations for your stay. 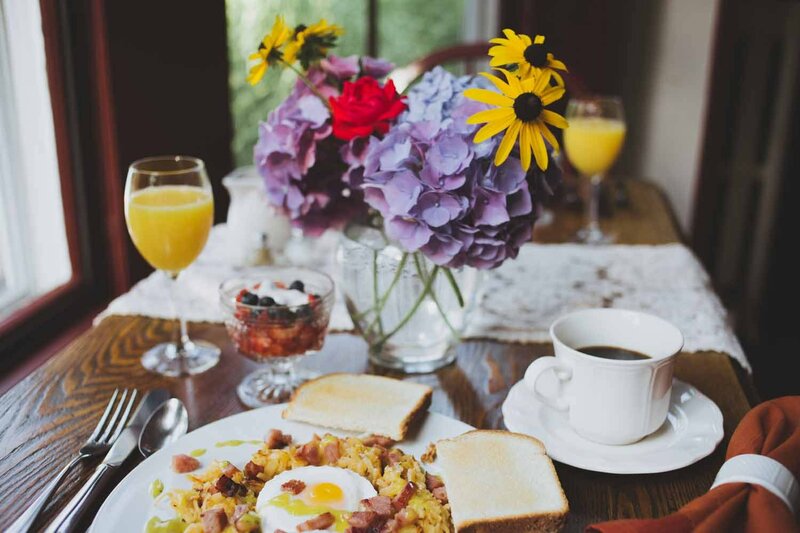 Start your morning with our full, sumptuous, locally sourced country breakfast served in our candlelit dining rooms. Our menu changes daily and features a savory dish one day and a sweet dish the next. 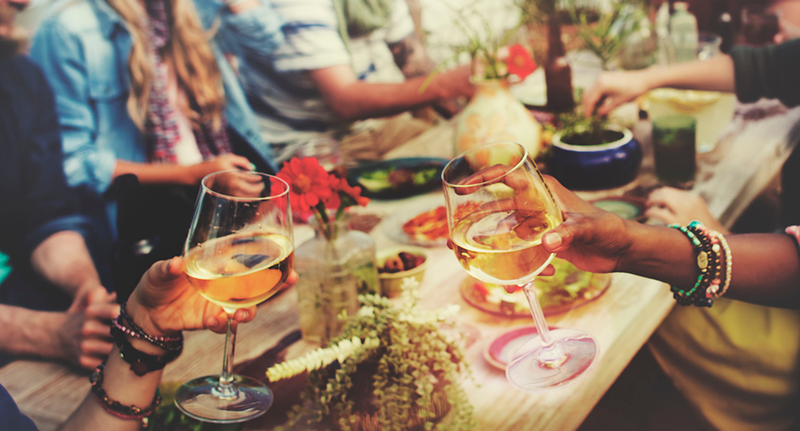 We see guests from all over the world so relax, join in the great conversations and meet new friends while planning your daily excursions. To book, call Mike or Stacie at 860-526-2014. 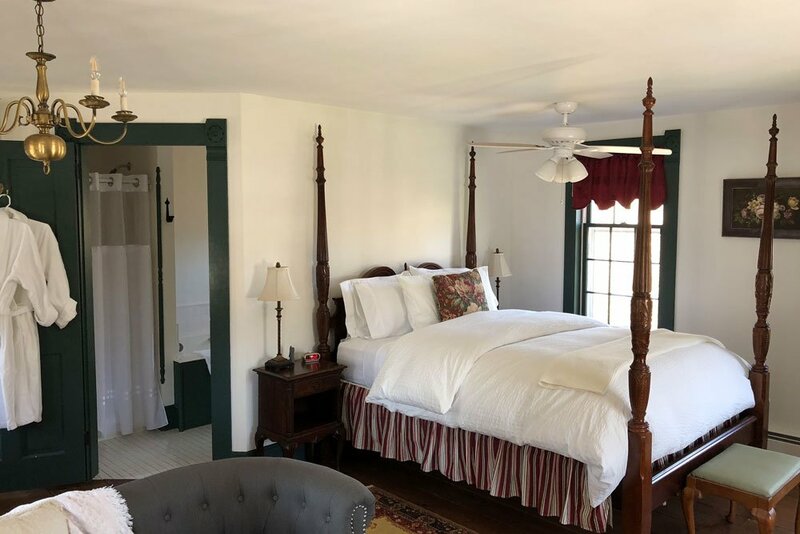 Nestled along the river in southern Connecticut, The Riverwind Inn is located in one of the most scenic areas of the state. 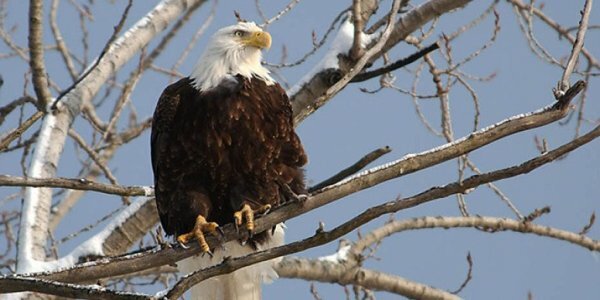 Enjoy an outdoor excursion along the riverfront, at nearby beaches or one of our many state parks. 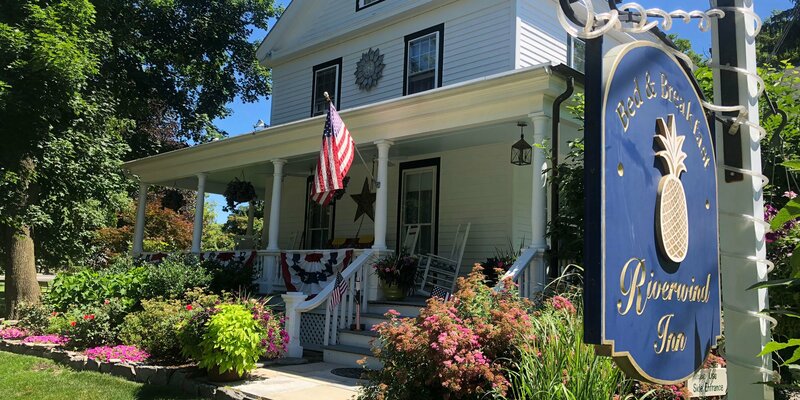 The historic villages of Essex and Chester are just minutes away, along with several theaters, art galleries, museums and antique shops. This romantic room has a fireplace with a fireside wingback chair and love seat to add to the mood. Pale pinks and greens enhance a beautifully carved four poster mahogany queen sized bed and matching armoire. This spacious room offers leafy vistas from the many windows and a private balcony nestled in the treetops. In addition to a shower, the en-suite bathroom provides a deep steeping tub, the perfect setting for a luxurious soak. 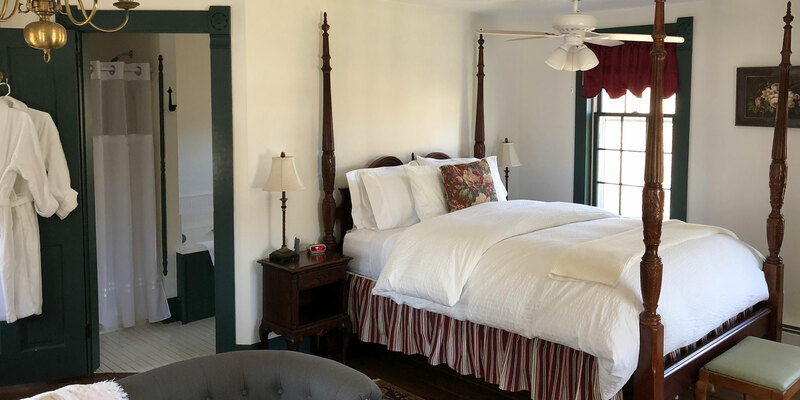 This first-floor room offers a queen size white iron and brass bed, wicker side chairs and a private porch surrounded by trees and gardens. Awake to the singing of birds and enjoy your first cup of coffee from the private porch. In-suite private bath. Puritan grey touches of rose compliment a four-poster queen size bed. An antique armoire and a deep green wing chair add to the comfort of this delightful room. The beautiful stained glass in the en-suite bathroom, with rose hearts in a field of blue, echoes the room's decor. This is a first-floor guest room. 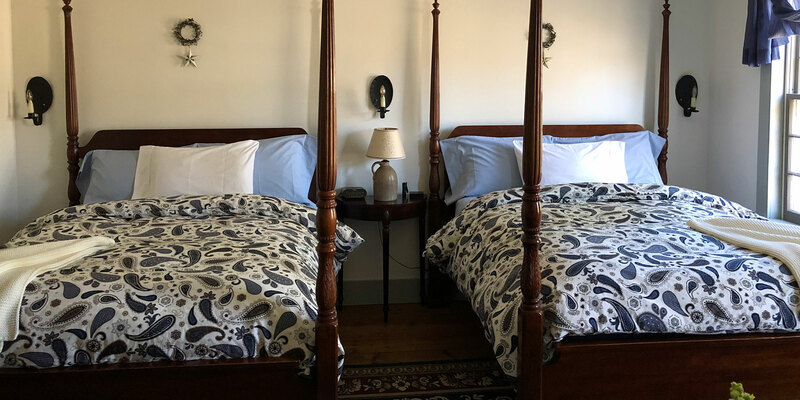 Mahogany furnishings culminate in two elegant four-poster double beds. Traditional quilts and stenciling add to the traditional colonial feel of this spacious room. This is a second-floor room with a large cozy armchair and a ceiling fan to keep you comfortable. In-suite private bath. A two-room suite whose decor is delightfully Gatsby. This room sleeps three. 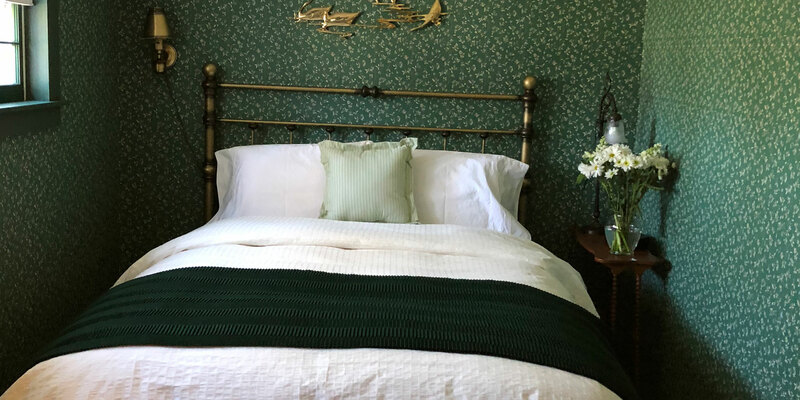 Deep greens compliment the brass queen size bed. In your adjoining private sitting room are an antique brass twin bed and a recliner for reading. This second-floor room hosts a feeling of yesteryear. Antique wide planked floors and a stained glass window in the bath add to the delightful feel of this room. En-suite private bath. 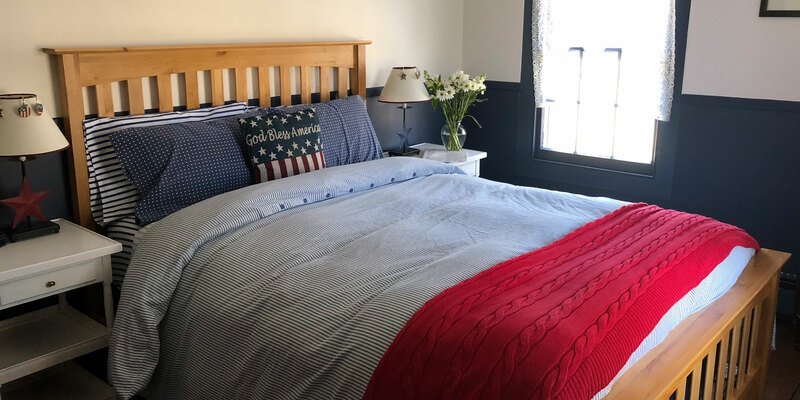 This American decor boasts a festive red, white and blue theme with a decorative quilt for the queen size bed. Hand stenciling surrounds the room. The en-suite bathroom has a wonderful stained glass window and echo's the Americana theme. This is a second-floor room with wonderful natural light and a ceiling fan to keep you comfortable. 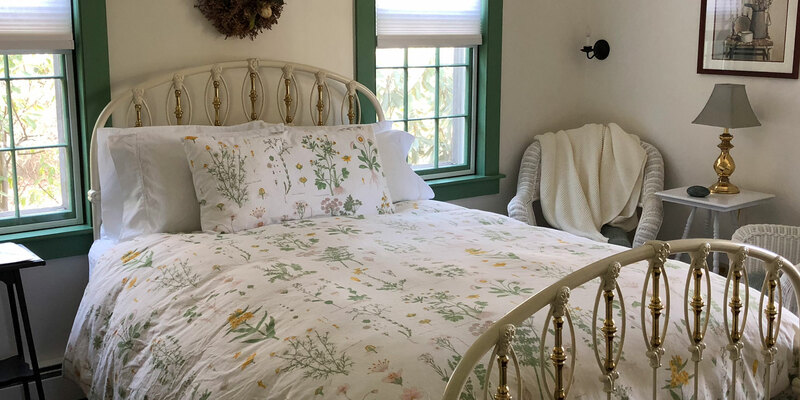 This room combines beautiful wallpaper by Raymond Waites with a fabulous collection of cottage country pine to create a mood of casual elegance. Queen sized pine, four post bed. Your private bath, with a tiled shower, is just down a small hall outside the room. Robes are provided for your comfort.